Transformers 5 Release Date, Cast and News: Megan Fox to Star Alongside Mark Wahlberg in Next ‘Transformers’ Film to Sell the Film as Director Michael Bay Exits the Franchise? Transformers franchise is considered to be one of the biggest franchises of the 21st century. Since 2007, it has triumphantly broke records after records. Could they sustain this success with their fifth installment? Here’s the latest Transformers 5 Release Date, Cast and News. Media outlets have already sparked the excitement in the fans of the upcoming Transformers 5, even though the Age of Extinction has just concluded last year. Little information has trickled in the past few months, however, including the confirmation that Mark Wahlberg is once again on board to fight alongside the Autobots. Despite landing one of the top spots in the highest grossing films of the year, there have been mixed reviews from fans and critics on the Transformers: Age of Extinction. In fact, as Rotten Tomatoes pointed out while many fans have been satisfied by the “loud, effects-driven action”, the story itself had been lost along the way. It received an 18% rating from the critics. Many people think that the Transformers 5 was made not just to follow the success of Age of Extinction, but also to salvage their reputation. But, rumors have been polarized as to what could happen and what fans want to happen. Fans want the people behind the Transformers films to go back to its roots and this might include bringing back one of the original characters, Megan Fox as Michaela Banes. It can be recalled that Fox had been replaced by Rosie Huntington-Whiteley after a fall-out with Michael Bay in Transformers: Revenge of the Fallen. Her career hasn’t exactly taken off after leaving the franchise, which had originally catapulted her to fame. It is unknown until today how Fox could potentially go back to Transformers 5. Some think that she could be a potential love interest for Mark Wahlberg’s character. But, until Paramount brings her on board and she signs on the film, that continues to be a rumor. Meanwhile, it has been recently confirmed that Michael Bay has decided to depart from the Transformers to focus on other movie ventures. He could possibly be replaced by Teenage Mutant Ninja Turtles’ Jonathan Liebesman. This might cause some fans to be skeptical about the next film, but according to Cinema Blend, Paramount might like a familiar face in Fox in order to sell Transformers 5. 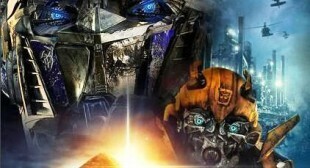 Transformers 5 is confirmed for a June 24, 2016 release date.